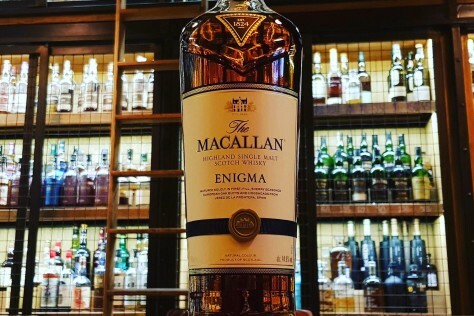 The Macallan Enigma / 44,9%/ – The new Macallan Distillery was commissioned in the fall of 2017 and opened to public in the summer of 2018. The state of the art distillery took six years of planning and a price tag of approximately £140 million. It is equipped with 36 stills (12 wash stills ad 24 spirit stills) capable of producing 15 million liters of spirit per annum. The old distillery has been mothballed, ready to be used when needed. Macallan Enigma released in early 2018 is a final installment of Travel Retail exclusive The Quest Collection. While the remaining expressions, Terra, Lumina and Quest are vatting of American and European oak casks, Enigma has been fully matured in first fill sherry seasoned European oak cask, both butts and hogsheads. Nose: oaky an fruity, apricots, pears, raisins, cinnamon, candied ginger, vanilla, roasted almonds, brown sugar, dark chocolate and hints of balsamic vinaigrette. Palate: dried apricots and dates, prunes, raisins, bitter orange marmalade, honey, cinnamon, cloves, ginger, cocoa powder and pretty strong oaky notes. Finish: very long, with notes of dark chocolate, dried fruit, cinnamon, ginger, nutmeg and oak. By bottle at Dom Whisky Online or in or whisky shop in Reda, Wejherowska 67.